There was a palpable sense of past, present and future in the Civic Opera House on Feb. 8, when the Lyric Opera of Chicago presented Richard Strauss’ exquisite 1911 opera “Der Rosenkavalier,” his domestic comedy of love and loss in the Mozartean vein. There were some very new names on the boards and at least one very old pro in the audience: Gennady Rozhdestvensky, 84, on a busman’s holiday from his crosstown gig conducting at the Chicago Symphony, was happily ensconsed as a spectator on the aisle. The tale swirls around the gentle crisis of a beautiful but lonely Viennese countess who feels her youth slipping away, and in the current cast this role is taken by Illinois soprano Amanda Majeski, a willowy blonde at the threshold of a significant career. 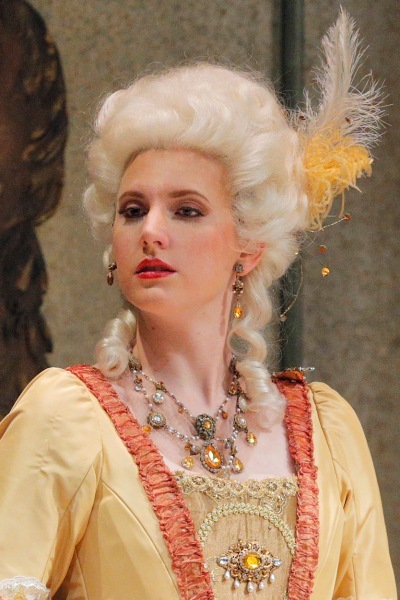 Not so long ago a trainee in the Lyric’s Ryan Opera Center program, Majeski at 31 has mastered the demeanor of a regal aristocrat with a wistful backstory, and she seems well on the way to making the role her own. The Lyric announced last year that it would bring in Otto Schenk’s legendary Munich production, with its gloriously sumptuous period set by Jürgen Rose. But the company took a pivot when it saw that the cost of retrofitting those sets for its stage would be too great. Instead, the Lyric opted for another well-known production in the period style, created by Lotfi Mansouri for the San Francisco Opera in 1993 and previously seen in Chicago in 2006. Set and costume designer Thierry Bosquet had worked from the original 1911 Alfred Roller designs in crafting these rooms and costumes, which took on a shimmering glow through the legerdemain of lighting designer Duane Schuler. 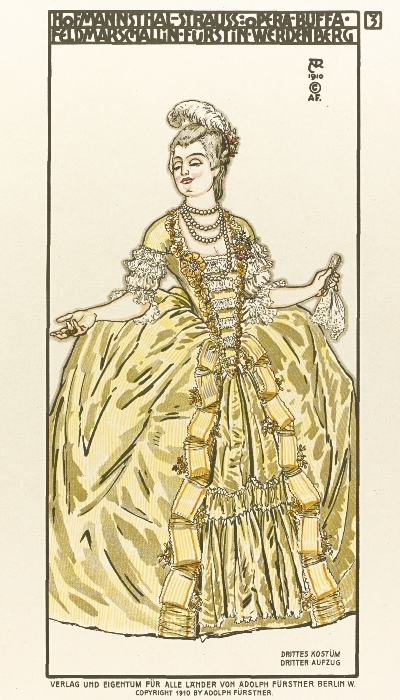 Indeed, toward the story’s end, when the Countess wafted into a tacky wayside tavern to sort out the romantic crisis of two young lovers, one of them especially dear to her heart, her skirt seemed to float on the majesty of the 18th-century Austrian empire. The Lyric cast is mostly young, and impressive in that context, although the most complete performances of the evening were by guest conductor Edward Gardner, formerly of the English National Opera, who possessed an easy familiarity with the enormous score, and by the brilliant French mezzo-soprano Sophie Koch in the trouser role of the Countess’ passionate young lover Octavian. Modeled after Mozart’s Cherubino in “The Marriage of Figaro,” as a youth on the brink of manhood and utterly infatuated with his Countess, Octavian is likewise besotted. Yet he is older and considerably more experienced than Cherubino in the art of helping his beloved to while away her idle hours. 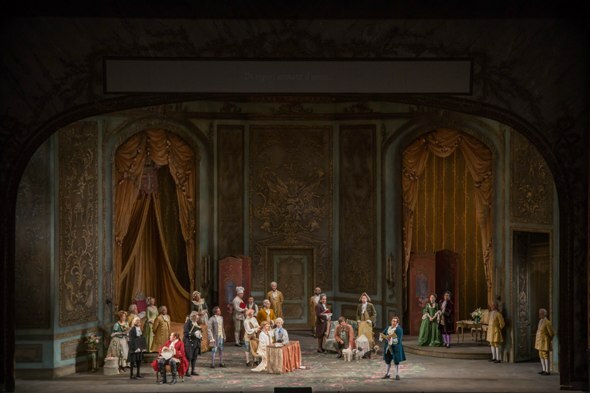 “Der Rosenkavalier” opens with two bodies intertwined beneath the sheets, a stage direction that Strauss and his librettist Hofmannstahl were unable to get away with at the cutting edge of the 21st century; but the music’s explicit message is clear enough. It’s tricky to make such plot developments work, but the young director Martina Weber, making her Lyric debut, was groomed in Munich and Vienna and obviously knows her Strauss. She managed the gargantuan cast easily and went for a lyrical narrative that reflected the music’s clever twists and turns. The buffo antics were kept to a minimum, and limited to a few wink-wink cameo roles. Thus a highly improbable tale enjoyed the grace of plausibility. It stayed pretty real, from point to point anyway. 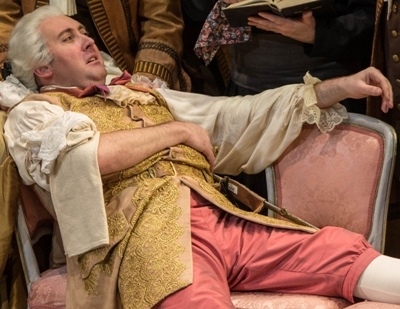 A shout out as well to the young British bass Matthew Rose, in his Lyric debut as Baron Ochs, who barges into the Countess’ chamber to wheedle her assistance in helping him marry a spunky young woman in his sights. She’s Sophie, the pretty daughter of a fabulously rich merchant, with an emphasis on rich, and thus, the baron concludes, an ideal bride. While in the bedchamber, the baron espies the Countess’ “servant,” who is really Octavian in disguise, and makes a play for “her” as well because that’s what barons do. Ochs’ comical undoing is the bulk of the third act, and in the end it’s Octavian who gets the girl. Baron Ochs may be a preening oaf, but Rose wins him our sympathies. I didn’t even begrudge him his drunken, lusty waltz of anticipation; I imagined his toes curling in delight. The Sophie is Christina Landshamer, a sweet-voiced German soprano in her American debut, charming if somewhat tentative, still feeling her way into the character. She was at her best in the extraordinary trio of the final scene, “Hab mir’s gelobt,” when time pauses and the future tilts in glorious new directions for Sophie, Octavian and the Countess, all simultaneously spellbound in their moment. It’s a musical miracle, that scene, a counter-gravitational lift-off for all three singers and the orchestra, worth every bit of the four-hour wait for it. It’s an auspicious time for Majeski, who is being paid attention by the world’s leading opera companies. She’s in great shape vocally and has gained convincing stage poise. Her high notes open out full and round. She is fundamentally musical. She lingers easily in those long lines so abundant in Strauss. After her Lyric run in “Rosenkavalier,” she returns to the Metropolitan Opera for three performances as Mozart’s Countess Almaviva in “The Marriage of Figaro” conducted by Fabio Luisi. She will undertake another Strauss countess, in “Capriccio,” this summer at Santa Fe conducted by Leo Hussain. Noble roles for a soprano who’s no longer a lady in waiting.